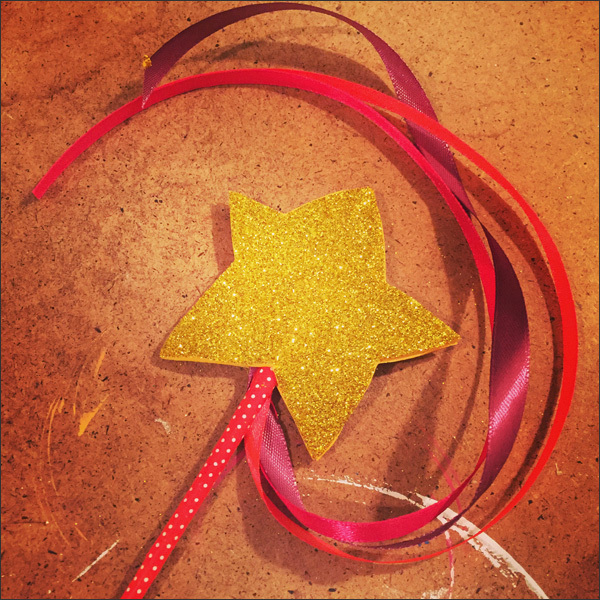 Here's a super fun and simple DIY for making magic and ribbon wands. This project was for a Live and Local event with North Vancouver Recreation and Culture. 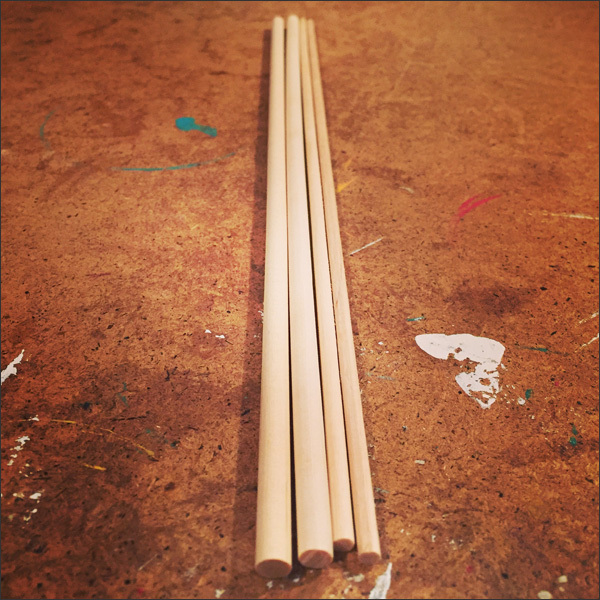 First I picked up two sizes of dowel from the dollar store. I wasn't sure which size would work better so made a sample using both sizes. 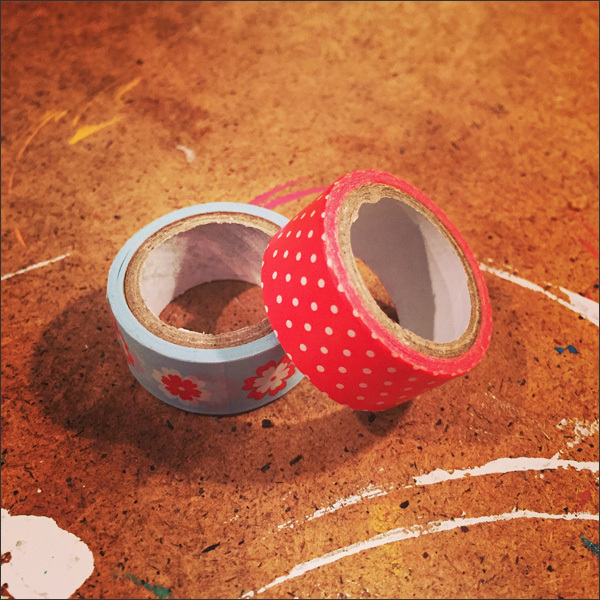 I also bought patterned washi tape and duct tape. 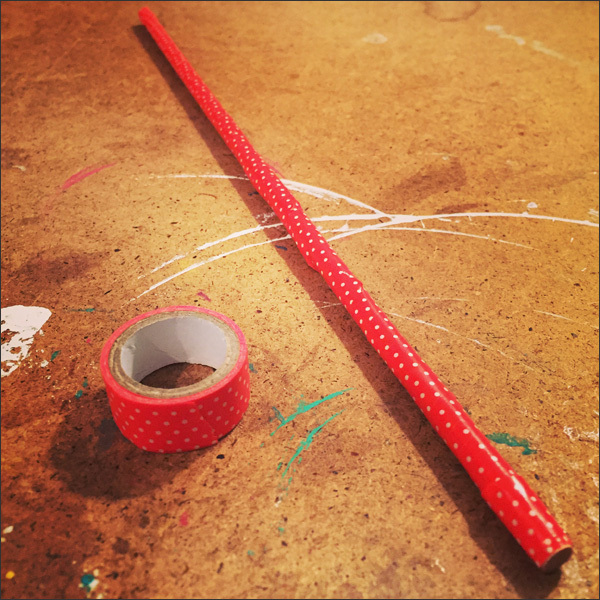 First step is wrapping the dowel with the tape. Then screwing in an eyelet in the top. 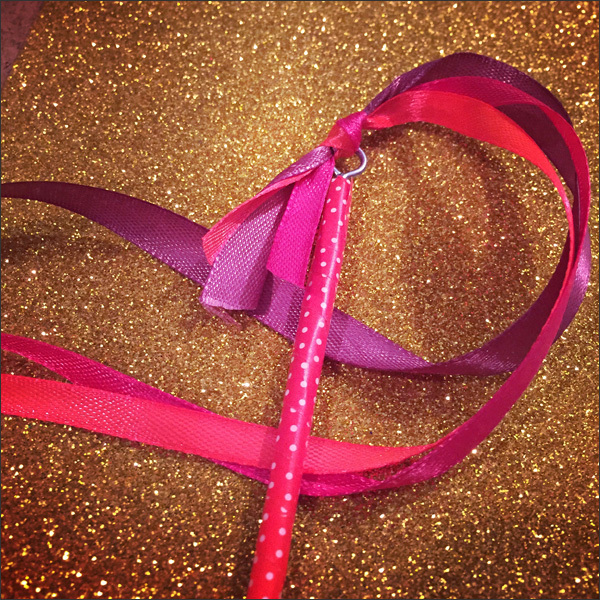 This is for the ribbon. 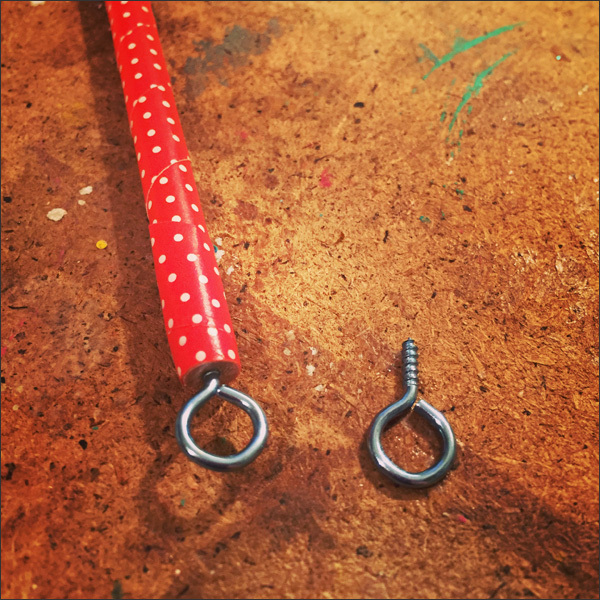 I pulled the ribbon through the screw-in eyelet and tied a knot in the ribbon. 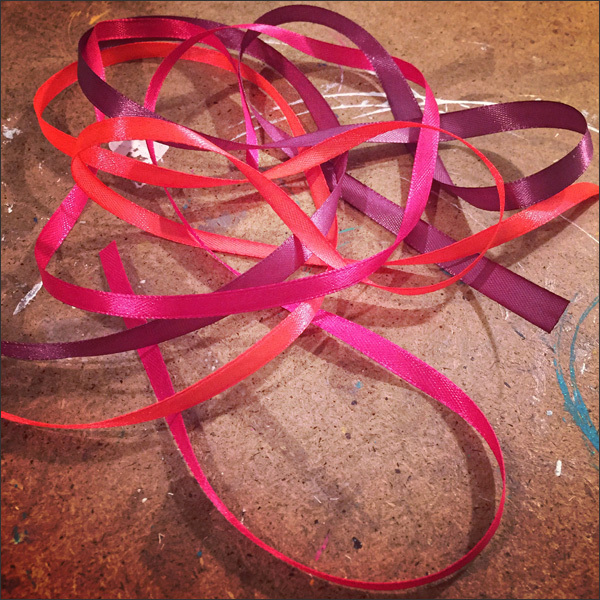 I pulled the ribbon through halfway so I had 6 ribbon streams. Next I made a second sample. This time I knotted the ribbon near the end. 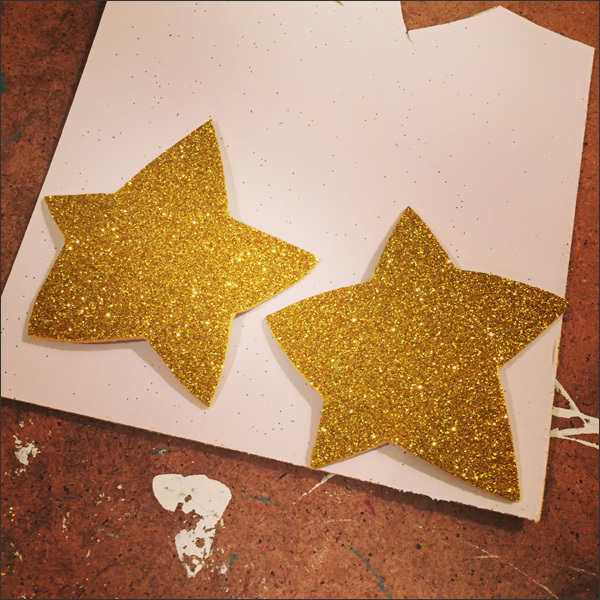 I then cut out two stars from some glitter adhesive foam board. This stuff was perfect for my magic wand sample! I would normally use a cookie cutter for the pattern but they seem to have disappeared in previous Crafternoons. So here's my not so perfect stars. 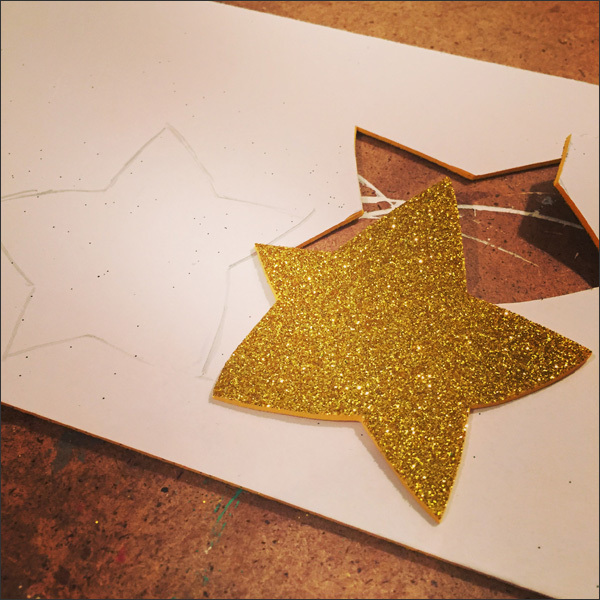 I added one to one side of the top of the dowel then adhered the second star to the other side. So awesome! Such a sweet project that I knew kids would love! Each wand cost about $0.50. Totally worth it!